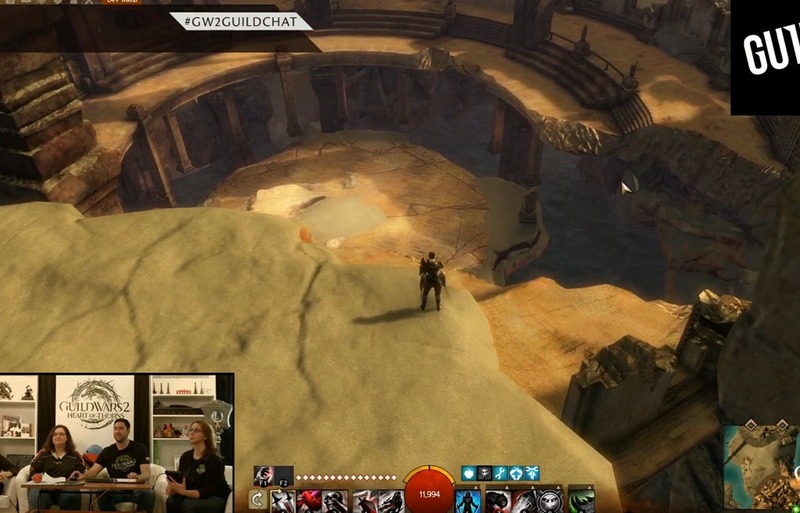 Coverage of the Day 2 of the Guild Week livestream showcasing Lost Precipice guild hall, resource management and building upgrades. Everything is above ground on top of huge sandstone cliffs. Lots of gliding involved. There are jump pads that will take you to the top levels. You can place decorations in most places. There are some places that we blocked decoration placement like waypoints, arenas (only arena decorations are allowed), side of the cliff (need to be on flat land). 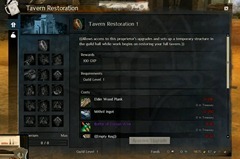 You start first with Tavern Restoration I. A NPC proprietor will show up that will offer you different upgrades for the taverns. There are branching upgrades you need to select and it will show you all the different material, guild level and favor requirements. Main Line upgrade changes the appearance of the structure. There are 3 main line upgrades available for mine. Arena has two main line upgrades. Once an upgrade is applied, there will be a cinematic showing the upgrade process. Anyone with permission to buy upgrades can pick upgrades. It is guild leader and officers by default but you can customize. There are different permissions for decorator/arena decorator. Assembly – Workshop permission that allow people to queue recipes acquired from Scribing. Mine – Mine is the second building you can make after Tavern. Mine will start producing a new guild currency called aetherium. Aetherium is time gated but it is pre-gated. In the current upgrade if you buy an upgrade it takes 3 days to get created. Instead of waiting, it tell you you need 100 aetherium and you gain an aetherium say every 160s so you can do some math. Wait/Capacity properties of the mine can be changed via upgrades. Wait controls how fast the mine will produce the resource while capacity controls how much resource the mine can hold. Some later upgrades will require bigger mine capacities. Once you have the Tavern and Mine, you have build other structures but some of them may have certain per-requisites. For every major building you build, you get 100 guild experience, for every minor building you build, you get 35 guild experience. As your guild levels up, you will have access to the upper tier upgrades. Once your guild reaches level 40, there are no more guild level restrictions. 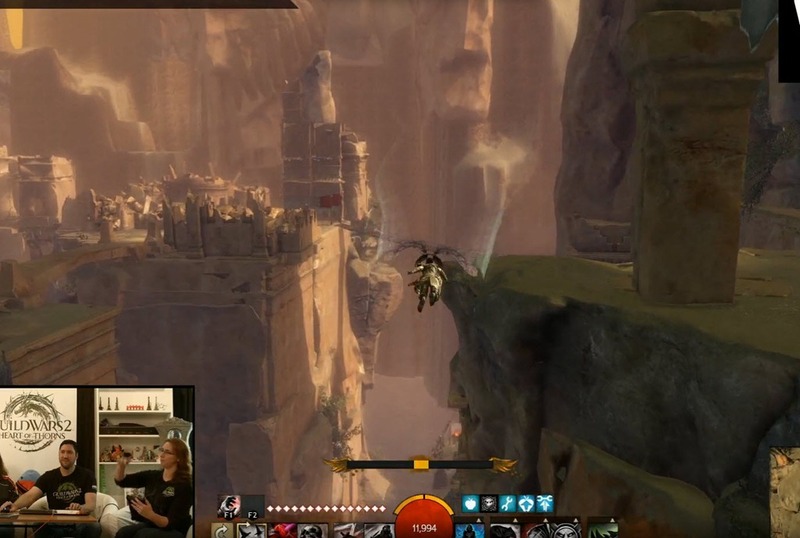 The highest guild level you can reach is level 80 currently. The initiative headquarters can only fit 5 players per instance. If there are more than 5 players, they will be put in the second instance until that is full and so on. There is no 5 player limit for guild halls. Everything in the guild initiative headquarters before you get a guild hall will cost gold and favor. 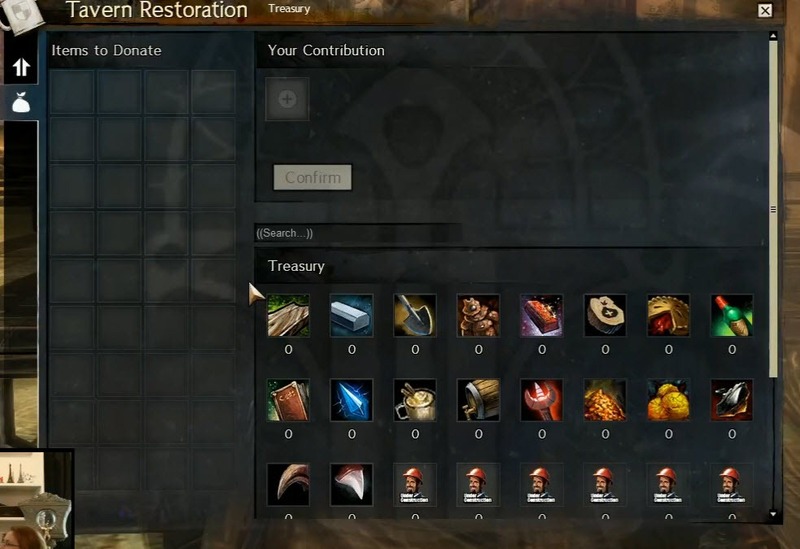 Gold is not stored in the treasury so the people buying the upgrade will need to have gold in their inventory. 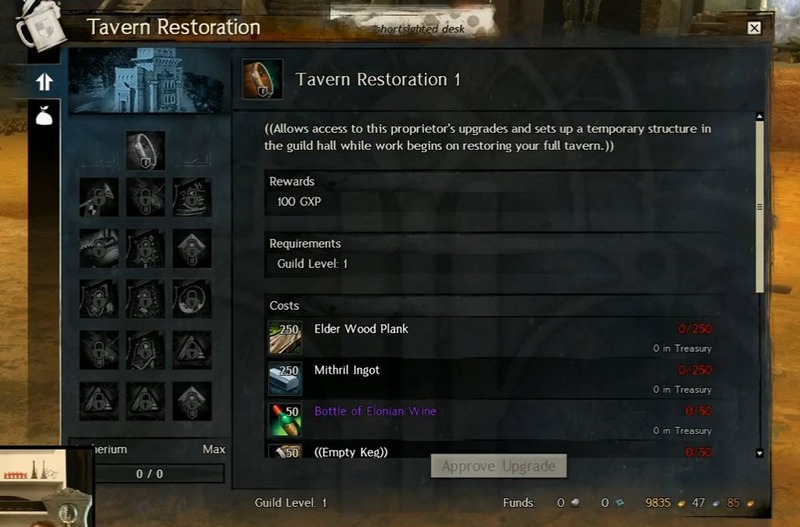 Upper tier upgrades will require items from the guild treasury. 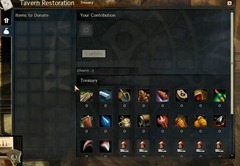 Guild Treasury will only accept items that are currently needed for an active upgrade. 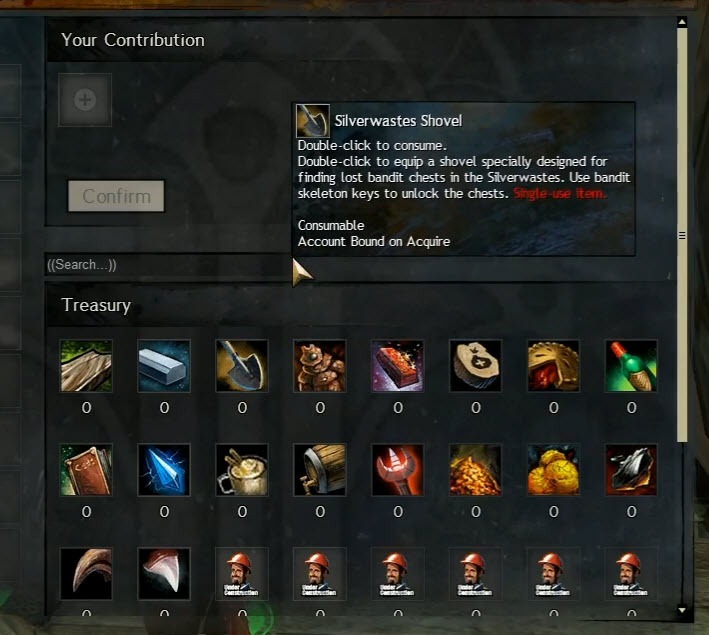 If it will take an item from your inventory, they will appear in the items to donate section of the panel and be listed under your contribution section of the treasury (you will get a confirmation window asking if you like to donate the item). Silverwastes Shovel will be required for upgrading the mine. 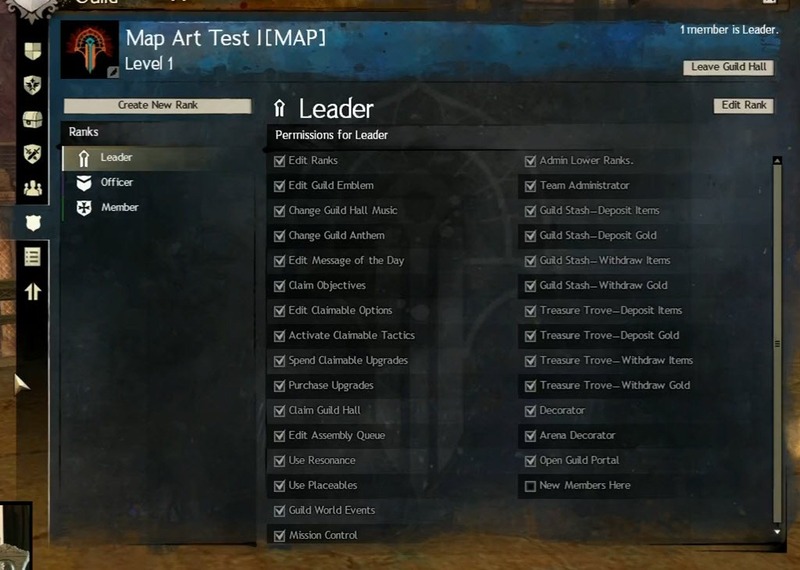 Things you gather, craft and items from the new maps will be required for upgrading the various buildings. As more players join and your instance size is reached, you will get message on screen to be transported to the new larger instance. If you are alone in the guild hall, a 5 player instance will be opened. As the 6th person joins, a medium instance will be opened. The max player limit is 200. If you have a guild bank currently, they will get grandfathered into the expansion. There will be a NPC to talk to that will grant you access to the guild bank. Same for treasury/deep cave. Influence trader in workshop will trade influence for resonance (resonance will speed up building process for scribing). There is also a daily limit. Influence trader in Mine that will trade influence for stone weight, giving you a % speed boost in getting stones. Super rich player can’t go and buy everything? There are materials players will need to gather out in the open world. Aetherium is also time gated. 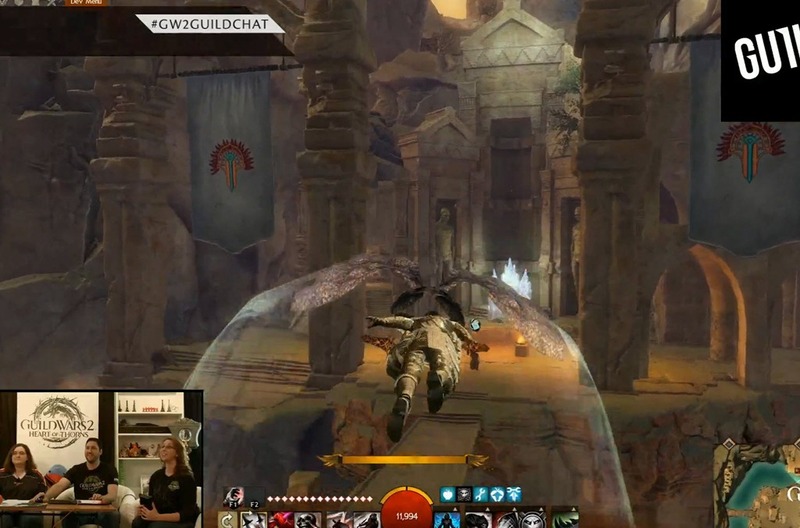 It will take a minimum of 6 months for a 10 player active guild to get everything upgraded in a guild hall. Totally useless after the expansion hits. Spend them now by buying banners etc as the banners will carry over to the expansion. Can you invite players in other guild to your guild hall? 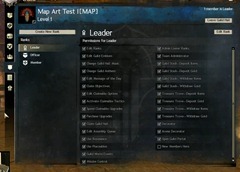 You have the option to enter guild halls of your party members or squad members. They will get a list of guild halls to enter at the door and they can pick. If you want to invite a large group of people to fight them in arena, invite them to the squad. Procedure for changing guild halls? Talk to the NPC in guild initiative headquarters to claim the other guild hall. If you complete the expedition successfully, you will swap halls immediately and upgrades you have in the previous hall will be transferred over. You can swap back and forth between the two as much as you want, as long you are willing to spend 100g and do the expedition each time. Dulfy, did take notes on the other guild hall that they released? Has there been any word on grandfathering of guild bounty/trek/rush/puzzle research? I mean the actual unlocking of the guild mission, not the number of missions available. All this material gathering/donating for upgrades/decor reminds me of warframe’s clan dojos. 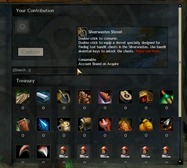 What about guild commendations Will they still be of use? Rendering is a taking a while as I had another computer render the video and it is significantly slow. So tired of time gating mechanics. There’s no benefit to making me gather 1 single item per day/week, I’m just going to get tired of that and never complete it and no it’s not going to keep me logging in, it’s going to make me stop logging in because I know I can never complete whatever it is in a timely manner so I can actually enjoy my time. “There’s no benefit to making me gather 1 single item per day/week” The benefit is for them. If they lock you out for 4 months from one thing you could do in 5 minutes, they can say they implemented “4 months worth of content”. Thats the main issue the expansion will have. Its not a ton of content, just time locked content to make it seem its large and long. Frankly this time-locked mechanics are not worth the asking price of 50 bucks. Any word on will some other things carry over except banners and bank? 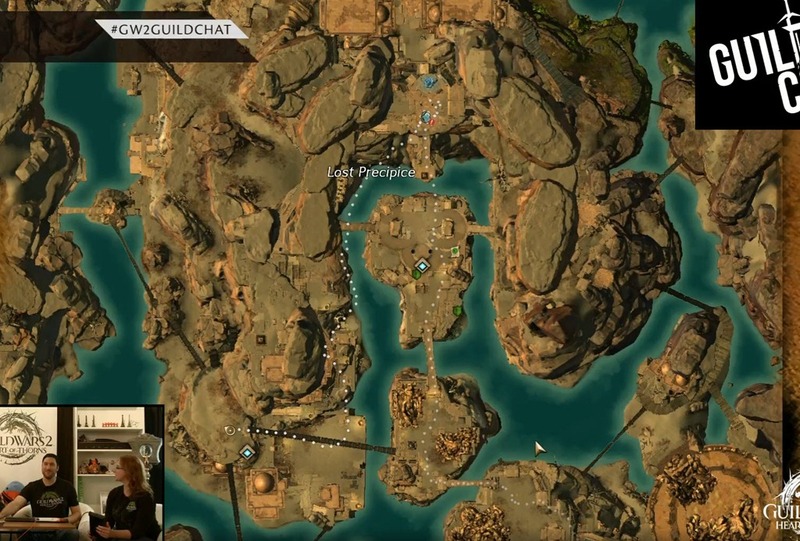 So what currency will guilds use for upgrading categories, banner purchases, and WvW perks now that influence is going away? I havent seen the addressed anywhere yet but I NEED TO KNOW!!! 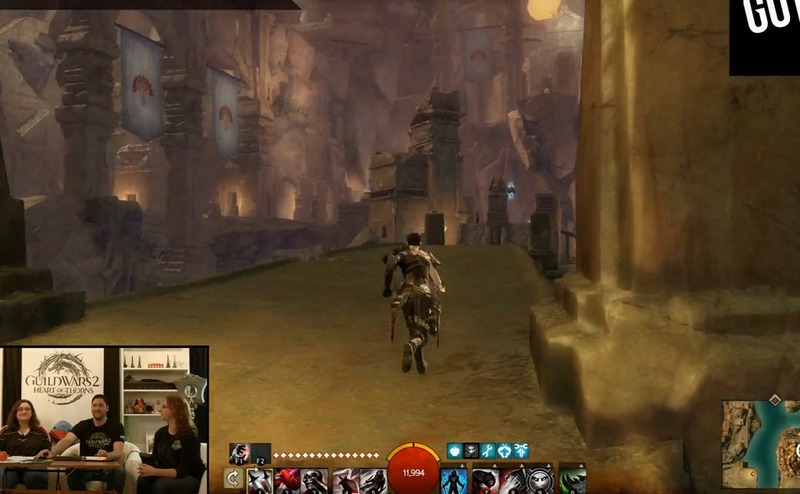 Is ther going to be a Black Lion Trader available for the Guild Hall?